Note: The single bottle box is on right. 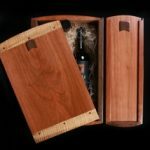 Wine Gift Box, made of walnut and cherry and assembled with dowels; no screws. Lid slides. Message or logo can be engraved on side or lid of box. No metal fastners used-Dowels only. Our Wine Gift Boxes come in 2 options: One Bottle and Two Bottle. Woods are primarily Walnut and Cherry. 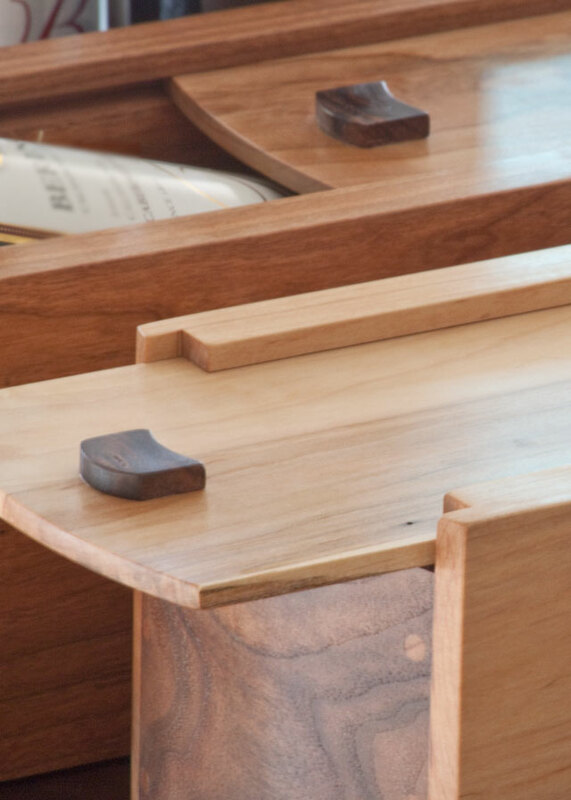 Many clients comment that the boxes are fine furniture quality. 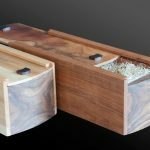 This is attributed to the fact that they are all hand-made and the woods have been acclimated for more than 1 year before being made into boxes.